LAFAYETTE, Ind. (CNS) — Bishop Timothy L. Doherty of Lafayette, who is chair of the bishops’ child and youth protection committee, said “general prayers and apologies are necessary, but not sufficient” for victims of sexual abuse. He also said the U.S. bishops will need to examine a Pennsylvania grand jury report when it is released sometime in early August. The report is based on a months-long investigation by the state’s attorney general into sexual abuse claims in six Pennsylvania dioceses. Many of the claims go back decades. Bishop Doherty said he is trying to frame his “disgust, anger and sorrow in some graced way” and has found some guidance from St. Paul’s Second Letter to the Corinthians, Chapter 7, where he distinguishes between “sorrow for God’s sake” versus “worldly sorrow,” which brings death. 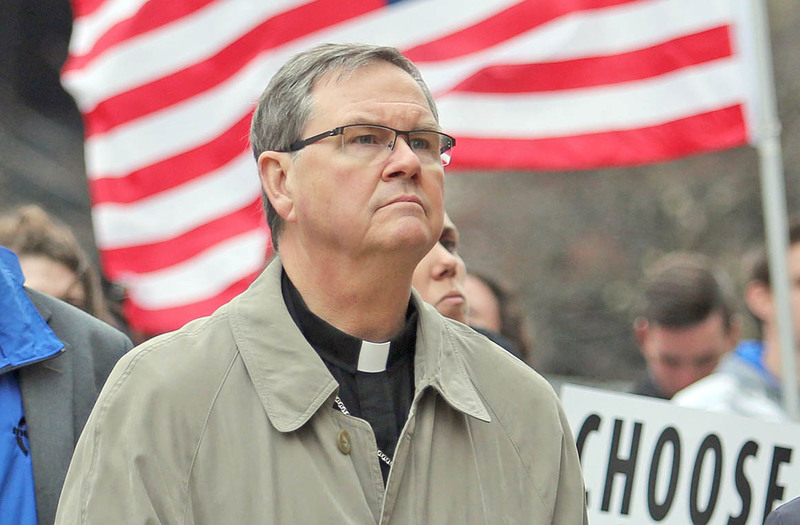 “I pray that ours will not be a worldly sorrow, ” he said, speaking of the U.S. bishops. Bishop Doherty said the allegations against Archbishop McCarrick surprised him because he had never heard anything about them. “There is evidence that various people made allegations and had reported them in the United States and in Rome. What has gone wrong? We deserve to find out. If the news is damaging, we have to hope it will damage and then help to correct an allegedly corrupt process,” he wrote. “Even so, each bishop is free to speak for himself and we will,” he added. Bishop Doherty said it is “not impossible for the conference to hire an outside investigator” to look into the Archbishop McCarrick allegations, noting that the USCCB did this in 2002 when it enlisted the John Jay College of Criminal Justice to research the matter of clergy abuse of minors, culminating in a 2004 report available online at www.usccb.org. He also wrote about what he told his diocesan priests in July 24 meeting about the Archbishop McCarrick allegations. He told them that the “Charter for the Protection of Children and Young People” calls for the ongoing human formation of the clergy with regard to chastity and celibacy and they should expect to hear more about this. “I am aware that their families will have questions concerning treatment of their sons and daughters,” he told them, advising their prayers on this.